When you have cracked heels, it indicates a postural imbalance that you are leaning more weight on the heels. I also have this issue and have been told to avoid wearing heels or footwear which raised the heels higher. When you have heels that easily cracked coupled with lower back and/or knee pain, try scouting around for a pair of slippers with a heel that curved downwards. Years ago, an occupational therapist recommended a pair of sandals where the area of the heel has a downward curve. It costs me RM250. However, the sandals made walking more comfortable. It does not need to be so expensive nowadays. 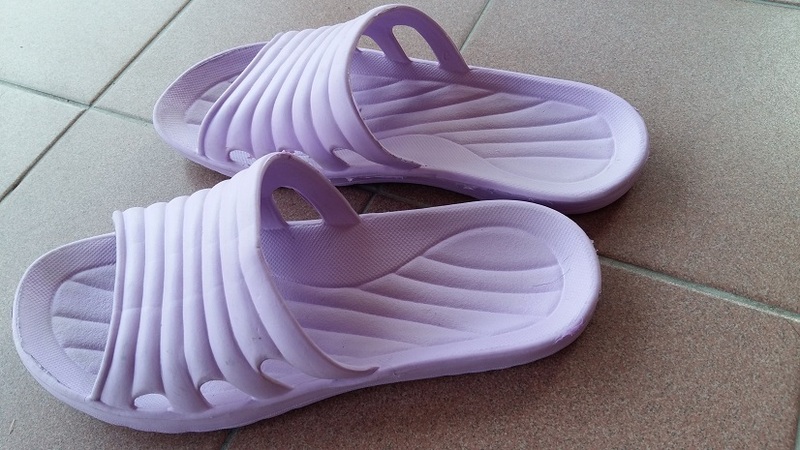 If you look hard enough, you can find such sandals/slippers sometimes at malls or at the market. 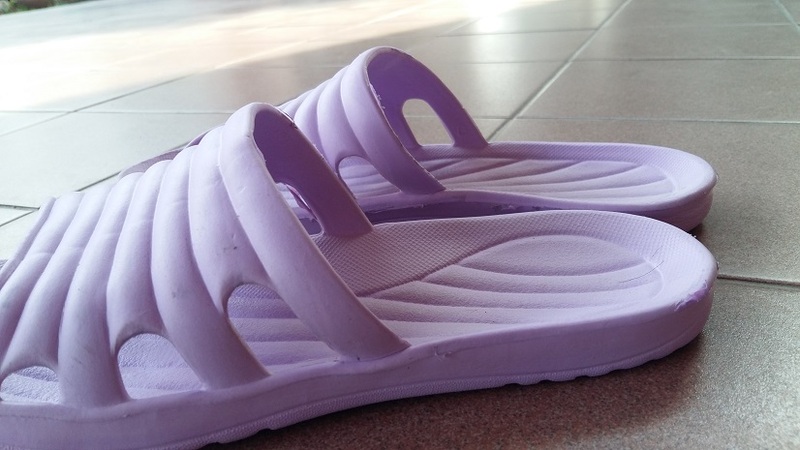 The slippers on the picture above were bought from Daiso for RM5.90. I am not sure if this design is available at the Daiso in your country. But if you have heel pain or cracked heels – try to keep a lookout for slippers that are shaped in the manner. Don’t just take my word for it…..try it on and see if you feel better. This is just a sharing from my experience.